Back in 9:51 in Luke’s Gospel Jesus is said to have “set his face to go to Jerusalem” (evoking imagery from the “suffering servant” passage we read earlier in the week.) Here now in the 19th chapter Jesus reaches his destination. The story of Jesus’ entrance into Jerusalem on what we call “Palm Sunday” follows in Luke’s Gospel a story and a parable. The story is that of Jesus passing through Jericho, in the course, of which he invited himself over to the house of Zacchaeus the rich tax collector, shocking the crowd who had shunned him. This act of radical graciousness led to a dramatic change of heart in Zacchaeus. He gives away half of his money to the poor and promises to refund four times over any money he unfairly taken from his neighbors. There is no one beyond the reach of God’s grace. Immediately following the Zacchaeus encounter, Jesus tells a parable of a king who has given various sized talents to servants as he leaves on a trip. Upon his return, the king calls them each before him to give an accounting of how they have put their talents to use. Those who have risked all to gain all are the ones who receive the king’s praise. As Jesus enters the city of Jerusalem, his followers welcome him as their “King.” Implicit in this ordering of events is the question of our own accountability to the one true king. Like Jesus showered grace upon despised Zacchaeus, have we freely shared the grace that God has showered upon us? The story begins with the preparations that were made for Jesus’ entrance. Tomorrow we will hear the story of the actual triumphal entrance into Jerusalem. When he had come near Bethphage and Bethany, at the place called the Mount of Olives, he sent two of the disciples, saying, “Go into the village ahead of you, and as you enter it you will find tied there a colt that has never been ridden. Untie it and bring it here. The Mount of Olives, opposite Jerusalem will become Jesus’ base camp for the coming week; he will return here with his disciples each night to sleep. 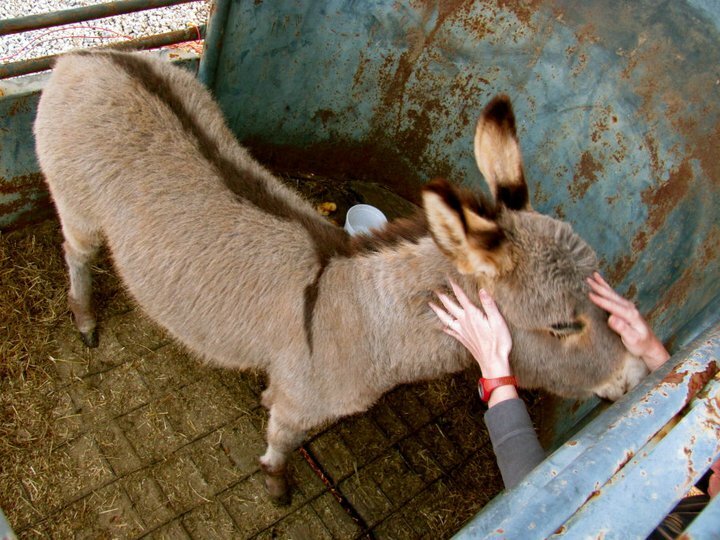 Special preparations are made to obtain a young donkey. Drawing on imagery from the prophet Zechariah, Jesus intends to enter the city in stark contrast to the procession that would be taking place on other side of the city. During the same time frame Pilate, the Roman governor would be descending upon the city riding a war horse accompanied by his legions of Roman soldiers. The contrast could not be starker. Jesus is an altogether different kind of king. In a culture that tends to alternate between glorifying and despising the human body, here we have a different understanding. Our bodies are not an end in themselves; they are here for a higher purpose. The Lord has need of our bodies, minds and spirits to bless this world.